A sportswear look for pregnant women – Neuf Mois - MOODKIT - Le vêtement de grossesse que vous méritez ! Article Magazine « Neuf Mois » Avril 2008. 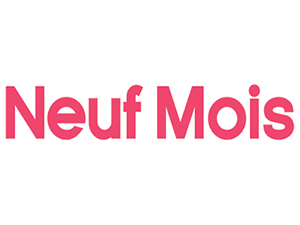 The magazine « NEUF MOIS » has choose the Moodkit for its look sport and Zen which is perfect for the future moms who take care of their body and make yoga. Doulas recommends the Mood kit for all the exercises of preparation for the childbirth and then for all the period of feeding and reeducation. ” This jump suit is very easy to wear because it is not a simple maternity leggings or a pregnancy tights, its openning system under the breast and its manufacturing without sewing make the most comfortable outfit for the maternity. Nothing comes to hurt the fragil belly “.